This is my favorite night of the USAFA year. 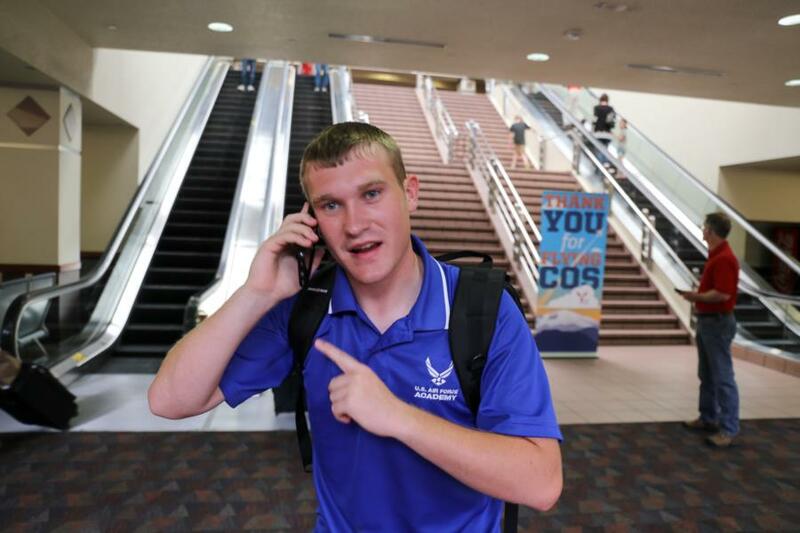 All the hard work of bringing in a new USAFA class is done. I-Day will be here in the morning no matter what. The Appointees have started arriving. They are ready, the Cadre are ready. It's time. I went out to Colorado Springs Airport to join in the welcome for some of the appointees who arrived there this afternoon. Certainly not the whole class, but a a good good sample. Some of them were on the phone with their folks when I took their picture. Ok. Tomorrow morning comes early. The WebTeam will be there to catch all the events of the day. Check back often. Before I forget. We will be uploading photos all day long during BCT, not just at the end of the day. There should be new photos anytime you check. We will also be blogging several times a day to create the context for what your are seeing in the photos and to educate you about how the Academy works. You will also see blog entries about the upper class summer programs going on at the same time as BCT. We hope you enjoy it all.